The intelligent enterprise can streamline HR processes and enable better decision-making with data. It can also aid in recruiting and improving the employee experience. As SaaS cloud applications, ERP systems and connectivity continue to develop, vendors are building intelligent enterprise systems that operate smarter and enable seamless and rapid cross-enterprise use of data, systems and processes on any type of device. Digital connectivity provides companies with ways to enhance the customer and employee experience, as well as to enable efficiencies and data flows that underpin productivity and performance. This new paradigm can help enterprises get more done with less time and effort and can help them innovate and react to the ever-changing external economic and market environments. Instead of being a system of record for employees, intelligent enterprise systems make HR a go-to system for supporting critical business processes and decision-making. They push data and analytics to key users and automate processes based on user actions. In the past, HR was a peripheral part of the organization from a system and business perspective. More recently, HR has become integral to delivering a people-focused business strategy, leading to the rise of the CHRO and cloud-based HR systems. This trend has put HR at the core of intelligent enterprise strategies. Data about people and system support processes that improve the engagement, development and retention of a talented workforce can yield significant rewards for organizations that harness these capabilities correctly. The employee experience is critical. At one time, employees came in and worked with superior technology than they had at home. Today, personal technology has overtaken the technology employees find in the office. Employees having to work with substandard technology can lead to negative perceptions and lower engagement, which, in turn, can lead to higher turnover as talented people flee to more advanced companies. This makes the need to adopt intelligent systems pivotal to the success of a high-performing workforce. Interconnected, data-driven systems underpin the cutting-edge and effective enterprises of today. With huge volumes of data covering different domains -- such as performance, learning and financial data -- it is possible to create a business advantage by harnessing the power of this data for effective decision-making. However, it can also be useful to evaluate data that wasn't previously available, such as job market and salary data, mobility and skills data, and national productivity statistics. Other types of data that can be analyzed for HR and non-HR use include data from social media, worker devices and help desk tickets. Assessing all of this data to identify trends, patterns, and what motivates and interests employees can help employers to understand how users think and provide guidance on how to develop processes and programs to better engage and retain employees. Although not new, analytics applications are coming to the fore as powerful sources of structured, intelligent, usable data that can provide the intelligence needed to enhance decision-making and provide better outcomes. The intelligent enterprise provides tools that enable continuous data gathering via feedback and assessments, which can then be used to create analytics that drive the decisions that keep the workforce happy and engaged. Waiting for an annual review is simply not enough for the newer generation of workers coming into the workforce. There are several new forms of technology that are integral to the intelligent enterprise. Artificial intelligence is possibly an over-used phrase in today's enterprise software world, but the growth of systems that can act without the need for human intelligence or interaction will be a key component of intelligent enterprise systems in the future. AI is still in its infancy as a technology, and the application of AI in HR is still an unknown quantity. However, use cases are continuing to arise as the technology advances. Machine learning is another technological trend of the 21st century that can provide value for intelligent enterprise systems. Systems that learn based on how they are used and the data that they generate drive large swathes of the intelligent enterprise. Imagine, for example, that your HR system can learn what training courses lead to the most productivity and can automatically assign and schedule those classes for employees. Chatbots are one example of where AI and machine learning come together to provide employee-facing capabilities that can enhance the employee experience. For employees who just want to know what their leave balance is or how to apply for a job, a chatbot provides instant gratification without the employee having to deal with HR or wait a few days to get a response to something fairly menial. Removing unconscious bias and promoting diversity and inclusion are newer tactics that are enabling organizations to be fairer and more inclusive, therefore promoting a greater sense of equality and opportunity across the workforce for all employees. Continuous feedback and assessment is another technique that, while simpler than the others, offers a continuous volume of data points to enable managers and HR professionals to keep all their employees engaged. With all of these tools, there are numerous use cases and competitive advantages available to employers. 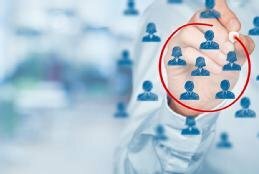 Other use cases for intelligent systems for HR include job simulations during the recruiting cycle, having a learning management system that can identify training courses based on performance, and getting recommended salary rates during compensation planning based on performance data and historical pay raises. The data-driven nature of the intelligent enterprise poses some challenges for HR professionals. As is commonly mentioned when discussing analytics in an HR context, not every HR professional is trained or experienced in understanding the data being presented to them or how to use it effectively. There are different skills for managing a performance evaluation or resolving a compliance issue versus understanding the data behind a department's high turnover rate. Handling numbers on a pay slip or a benefits reimbursement is not the same as understanding the percentages behind productivity in relationship to learning expenditures. A different type of challenge when using systems that support the intelligent enterprise is that they are inherently complex due to the nature of their automation, data aggregation and integrated processes. As a result, understanding how these intelligent systems operate is typically not part of the user manual. When a system has several interconnected parts and triggers multiple processes automatically, there might not always be a large group of people that has a complete understanding of what is happening in the system for every scenario. Sure, it might be well-known that when someone is terminated, everything in the process is covered, but knowing down to the last line what exactly happens requires the retention of large amounts of information and documentation. Having a few key users that understand the range of a system's functionality is key to being able to service system operations. Additionally, intelligent systems only work with the right types of policies, procedures and processes in place. Without these being clear and well-defined, the chance of creating a chaotic intelligent enterprise increases. Despite what naysayers will have you believe, technology is unlikely to replace the human side of HR because of the nuances of knowing how a business works, what its culture is, who its people are and how they behave. Intelligent enterprise systems will, however, provide businesses with better ways to serve their employees and can empower HR to make better decisions about their people and processes. And these systems should be considered as that: enablers to better run a business. Taking advantage of these types of intelligent systems can lead to improved profitability, retention, engagement and attracting the right talent to continue to develop and grow businesses. Has moving toward an intelligent enterprise benefited your organization? Why or why not? Today's tech builds on HRMS recordkeeping and talent management development models to give holistic views of the employee experience. HR's role will never be the same. With the right combination of good data structure and disparate data source integration, chatbots may well become a go-to guy for employees while spelling relief for HR staff. Software bots and chatbots may see a rapid uptake in adoption thanks to falling prices and improving tech. That's one of six trends HR pros should watch closely in 2019. @Luke, not only HR Professionals aren't trained in HR Analytics and intelligent processes, but more fundamentally, they aren't trained in HR tech at all. That is what I am doing today more and more - you and I have trained enough project teams to fill a auditorium, and yet, every time, we need to restart.